The annual Game Developers Conference has long been prime real estate for developer focused major announcements. In past years we’ve had the pleasure of witnessing major announcements like Metal Gear Solid 5 but, it’s typically full of panels on super technical stuff. Cough Nerds Cough. This year However, Google took it upon themselves to overshadow all the other cool stuff happening by announcing their long rumored gaming console. Or rather the not gaming console. Google Stadia, the official name I can’t quite pronounce, is a cloud based streaming console promising up to 4K HDR resolutions, instant access with no update or download delays, and the ability to play on any device connected to the internet. Have we heard this before? Yea a few times but this is Google. You know the unofficial ruler of the world? Yea, exactly. So I’m pretty inclined to believe they have managed to get the technical stuff to work. And I’m sure everyone in the world is talking about the concerns behind internet speed inconsistencies but I think there are three bigger things to worry about. With that said, I have 1 question and 2 concerns, shaped in the form of questions. Will I be able to carry my control and play anywhere with WiFi? Google announced Stadia with a super dope looking awesome remote. I’m not quite sure why the remote looks so familiar but, whatever right? The controller itself is not necessary to play as you can use any standard USB or Bluetooth remote but it does have it’s own perks. Those perks include a share button for streaming all your games you’re streaming (streamception? ), and a button that calls for Developer directed help. That’s right friends strategy guides are what Google is aiming to kill with Stadia. There is no box associated with Google’s new console, rather platform, and the Stadia Control connects to the cloud via Wifi. So of course my big question at this point is; does this mean i can carry the control and game anywhere? I can just pop a squat anywhere with decent Wifi, cause the wizards at Google said they are optimizing for all internet speeds, and play Metal Gear Solid? Tekken? Devil May Cry? Oh my heart, it can’t handle the excitement. Unfortunately, outside of showing off the control design and talking about their cool exclusive buttons, there wasn’t much information around the control. I’m sure that Google has an incredible drip marketing plan for all things Stadia, but I don’t know if I have the patience for it. I just want to pull my Stadia Control out my pocket and scream Let’s Duel! The video game industry is a multibillion dollar business. The cost of producing video games is astronomically high at the Hollywood/mainstream level of gaming. Esports have created an entirely new field within the industry for gamers to work and build their lives around. Games have literally become a part of mainstream culture with movies, books, and even real news outlets frequently referencing their success. Intentionally and unintentionally. All of these incredible breakthroughs come together to create a thriving industry that breeds fair distribution of money in all directions. Enter Stadia. Well actually it’s more like enter Google. Arguably the most powerful company in the world. Undeniably the most powerful company on the internet. What will it mean for how developers and publisher negotiate their pay from games streaming on Stadia? If the music industry is any example, developers will see significantly less money from streaming games than they do on game sales. Sure the games will be more accessible but if it’s anything like say Spotify, which pays about $0.006 per stream, it’s gonna take a lot of streaming to match sales. So how will streams be counted? If I launch Resident Evil 2 40 times, will it count as 40 different streams? How about the hours put into streaming? Will streaming The Witcher 3 one time for 80 hours only earn the handsome polish developers pay for one stream? And those are only the concerns around the meaning and value behind the term “stream”. The bigger concerns is how smaller developers will manage to negotiate streaming payouts with the Walmart of the internet. For those who are unaware, Walmart is such a large retailer that it had been documented telling suppliers how much it will pay for products it will sell in its stores. No negotiations, take it or leave it. Google is just as powerful in the internet land. And in order for this to be profitable for Google one of two things will happen. Which brings us here. How much will Google Stadia cost? Remember I said in order for this to be profitable for Google one of two things will happen? You should, I just said it. Anyway, there are two clear ways for Google to make Stadia profitable and sustainable. The first option is bad for developers but good for consumers. The price of Stadia stays relatively low for gamers, think subscription of $10-$25/ per month, and developers get a smaller pay per stream. This could make it super easy for google to acquire subscribers but how would it impact games being streamed? At that price Stadia could end up being like a gym membership. Tons of people sign up but a small fraction of the people signed up actually stream games. That means Google makes boatloads of cash while having very little payout. 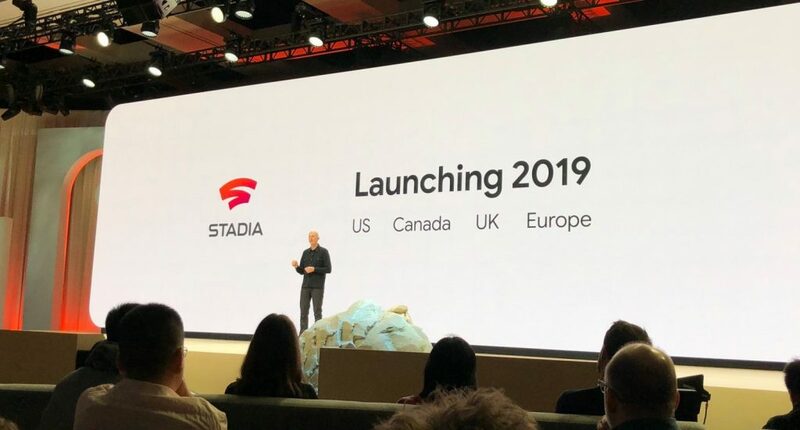 Contrary, the cost of the service could put Stadia at a premium level, $50-$99/per month, and pay higher per stream to developers. A premium price point more people are likely to make use of their membership because it’s a significant monthly cost. With more people streaming Google has much more payouts to make impact the overall profit margin. Blah blah business blah blah number blah blah math, I know it’s boring but it’s important. Are you ready for Google Stadia? 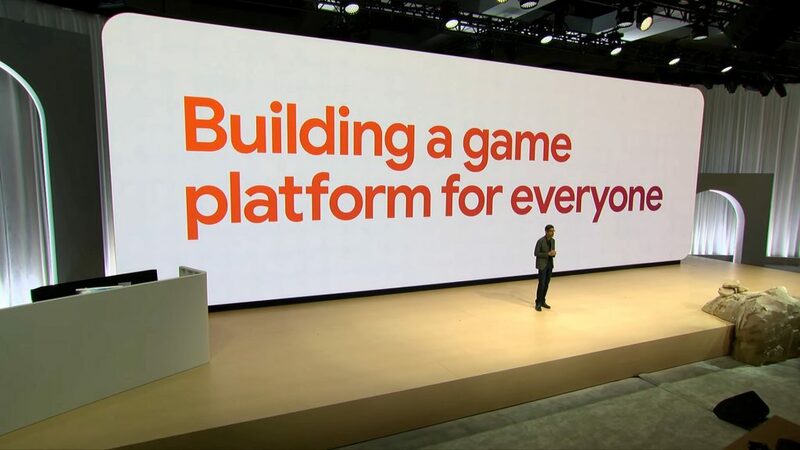 In my opinion, Google Stadia marks the first time in over a decade where the video game industry is about to see a major shift. Much like the risky launch of the Nintendo Wii and it’s motion controls, Stadia represents an entirely new way to play. The question now is, are we ready for this? If Stadia succeeds, the industry may completely shift away from owning video games to streaming only (like the music industry). If Stadia fails, the industry may turn against the internet based ideas circulating since the botched Xbox One announcement. At the end of the day, we are gamers. We just want to play the best games all the time. Who ever makes that easiest gets to take all my monies. Any takers?